It's Force of Nature that is the problem because of its charge, and the opponent has no turn to react. 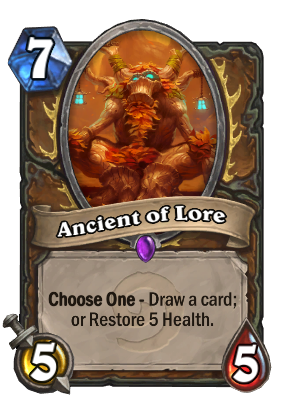 I hate to say this but Ancient of Lore is also a problem because of its draw effect that made Druids very consistent in drawing their combo. Savage Roar is powerful indeed, but it is a finisher, and it is only powerful if there are plenty of minions in the board. If the opponent doesn't clear the board, knowing there is the threat of the savage roar, then he deserves to lose.